Hacking is not always something negative, this means that it does help in many positive ways as well. As a matter of fact, hacking means using the unconventional tools to make life easier, and the same is in the business world as well. 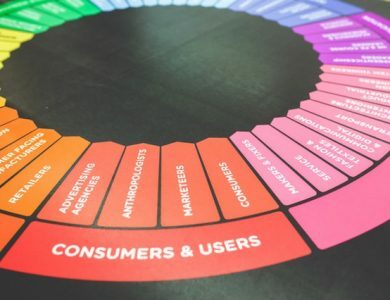 The hacking growth strategies for startups are used by many in creating marketing channels to recognize those methods that are the most effective. Just like creating your business plan is something that is important, defining your goals is also very important. The goals that you define have to be realistic. It is apparently easy to just say or think about making your company a huge million dollar success but to actually get there is not so easy. To make it happen, you need goals, and you need to focus on each step for it. The goals should be ones like the steadily increasing sales income, growing social media followers, and even the visitors to your website each week. These little things matter and if focused on, can make a huge difference. Another one of the most significant growth strategies for startups is to create a partnership. Many companies partner up for the interaction and to improve the sales. This is like a symbiotic relationship which helps in boosting the brand awareness of both the businesses connected. Moreover, if you are searching for a company like yours for partnering up with, the social media can help you a lot. You could also partner up with the startups that relate to your business so that both the businesses can improve simultaneously. However, it is better to share the success of an organization rather than building something from start. Most of the people in the world have a social media profile and not just the people in America, and this allows you to connect easily with the people. It is necessary for you to grow your social media account for your business on almost every platform available. Even though this might be tough for the startups to get many followers, it can be helpful if worked on and is the most cost-effective way to get customers engaged with your brand. Again, another one of the best growth strategies for startups is permitting your customers to leave a review on your website about what you offered to them. Almost everyone on the Internet reads the reviews before availing any services or purchasing any product online. So, in short, reviews and feedback play a vital role in helping a company grow and succeed. Moreover, it is better to allow the customers to write the reviews and feedback of what you offered to them. This would build your brand reputation, and this would show you results within no time. Not only are the social media sites that can help you build a community for your business, but you can also create a community on your website. The main idea is to engage the people who can grow your business: the customers. And the best way is to develop a “social-media-like” presence on your website where the customers can have their own personal profiles there, put up help forums, or even offer simple discussions. And this is not just all for the growth strategies for startups; you can also offer incentives to the guests who join newly. You would need to be highly creative to allure those towards your website who are willing to participate eventually. It is easy to make a small business appear larger on the Internet. And if you even check it right now, you would find many small companies that look so big on the Internet. These companies have become successful looking like this, and it has also brought to them, new customers. Moreover, you do not need to lie; you just need to be creative when you display everything about your business on the Internet. Create a landing page that shows professionalism, and that your business has existed for some years now. Even though this is not a new idea, providing an elite deal is always an effective way to market your business. And out of all the growth strategies for startups, this is the oldest one that still does wonders if implemented. The basic idea behind this is that the public wants to be a part of something that is highly special and that everyone cannot get into. Deals, offers, discounts, and memberships are the key for this. Yes, this idea might have already struck your mind at some point, and it is time actually to implement it. And the word “FREE” would entice crowds and bring an audience to your website. Another thing that you need to know is that giving away free things would get you a lot of new customers. And the most important thing is that what you are giving away should be something that doesn’t become heavy on your pocket and should be something that the audience loves. A lot of companies spend and put a lot of efforts into content marketing, and the reason is that it has a high potential to work. Moreover, it is also a cost-effective solution for engaging your customers. And that is not all about the growth strategies for startups; many experts believe that the content that has a high-quality also has the power to grow a company. You can get help from professionals if you are not sure how to find what your customers want via the content of marketing. Yes, you have got the tips on how to get customers and growth strategies for startups, but you need to know how to retain them as well. If you are not able to make loyal customers, your brand will not grow, and this would leave you with nothing. Superior customer service is something that is shared on the social media as a memorable experience. As a matter of fact, a customer would be ready to pay more for the service or product for a superior customer relations experience. And since the first impression is always significant, it is better to give the best experience possible at the very beginning. Another one of the best growth strategies for startups is the incentive-based marketing. This means asking someone to help you market the business while you offer them incentives from the sales. For instance, in services or e-commerce sites, you might have seen an affiliate page. Well, this allows the people who join to sell some products on their own website for a small percentage of the income. While some companies offer this type of incentives, others offer discounts on products for sharing their products with the public. The best thing is that this is cost-effective and it would boost your business growth easily and fast. The value of a call-to-action is high, and you should never underestimate it. The call to action is where the user is prompted to avail the services or buy the product. For example, “Click here to obtain a quote now!” or “Click here to get a FREE consultation today!” has enough potential to get you more customers. Those days have gone now where a company had to focus on the traditional marketing methods of TV ads and giving out brochures. Technology has made things easier and also helps you reach a broad audience cost-effectively. So, use the growth strategies for startups mentioned above to let your business soar to the skies with success and boost your business. And if you have not yet started your business, and are planning to incorporate the business in Delaware or Nevada, connect with IncParadise and get assistance with the registration and incorporation!